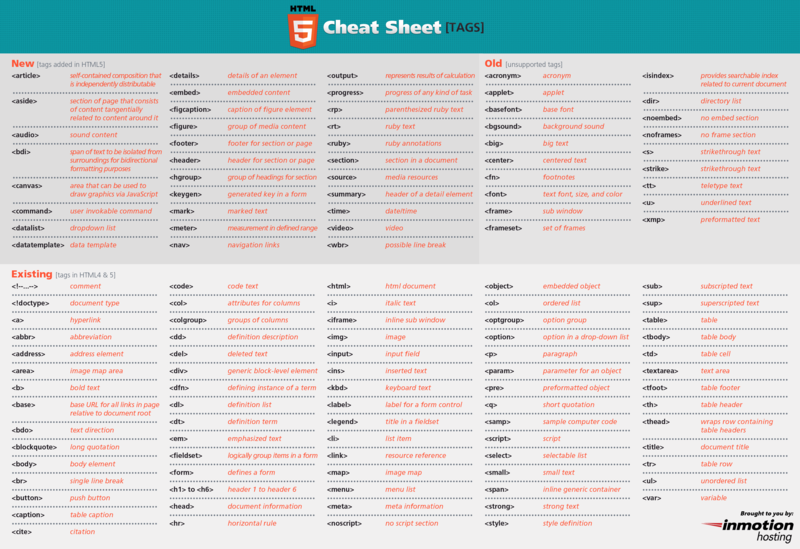 A list of the most useful css, html cheat sheets to help you get all the functions, attributes, elements and tags in one place. Whether you’re professional web designer/developer or a newbie, who plans to make a career of this exciting profession, there are the tools you’ll likely not be able to live without. A cheat sheet would be a great tool for anyone professionals or newbies to complete their task in easy and simple way. Sometimes it is impossible to memorizing every tag, selector, property or value. 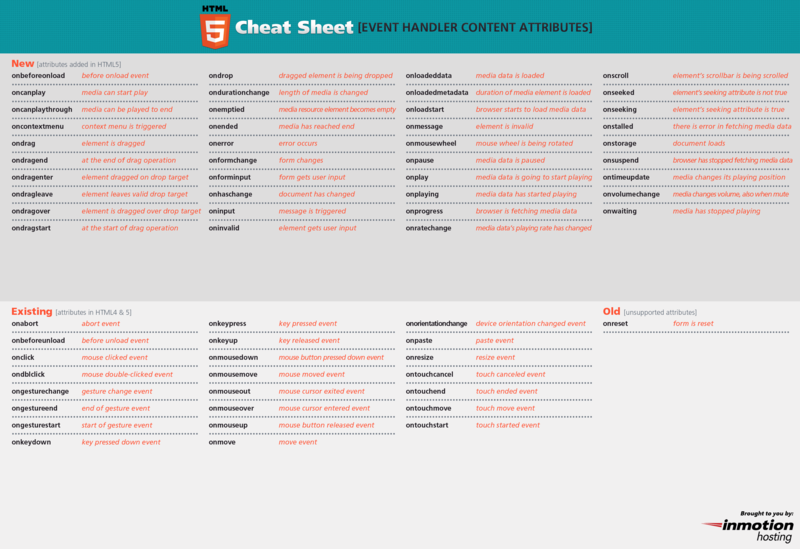 Therefore to make things easier for you, we have put together a list of the most useful css, html cheat sheets to help you get all the functions, attributes, elements and tags in one place. 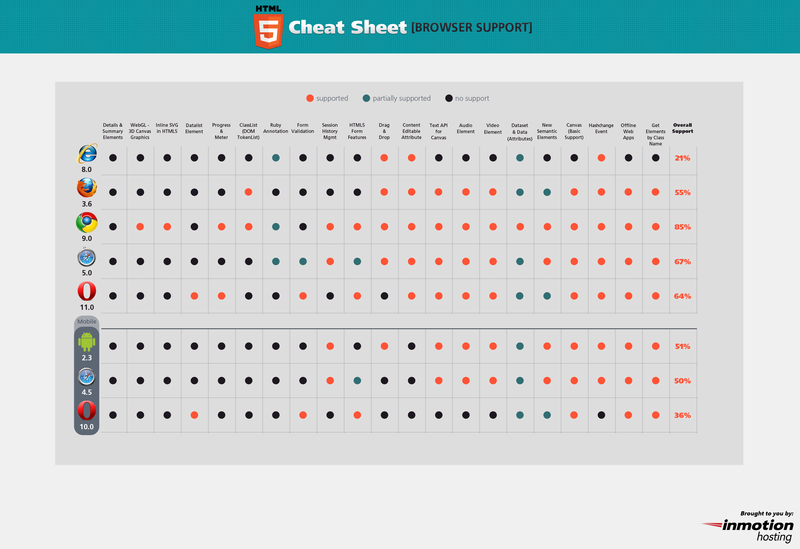 These handy HTML5 and CSS3 Cheat Sheets will get you started with excel on the right path. Use this HTML cheat sheet to quickly find the code you need. All you need to do is copy (from this cheat sheet) and paste into your website’s code. If need be, you can change the values to suit your particular situation. This cheat sheet summarizes the complete HTML5 Canvas API for the 2D context, based on to the W3C HTML5 Canvas Spec. It also provides techniques for handling common procedures. This cheat sheet is designed for designers who need a quick description of a property don’t need to open a browser. Included are the following sections: selectors, the box model, positioning, text and fonts, borders and lists, and a bit of miscellany that comes in handy every once in a while.